Grew up with KK Zemun (Serbia) juniors. Signed for the 2015-16 season by BC Mega Leks Belgrade. Moved to Germany for the 2016-17 season, signed by FC Bayern Munich, just played with the 2nd team, ProB. Back to Serbia for the 2017-18 season, signed by BC Partizan Belgrade. Led the 2017 Euroleague Basketball ADIDAS NEXT GENERATION Tournament Finals in rebounding (14.3 rpg). Won the gold medal at the 2017 and 2018 European U-18 Championship. Played at the 2015 and 2016 European U-16 Championship. Led the 2016 European U-16 Championship in scoring (26.6 ppg.) and rebounding (15.9 rpg.). 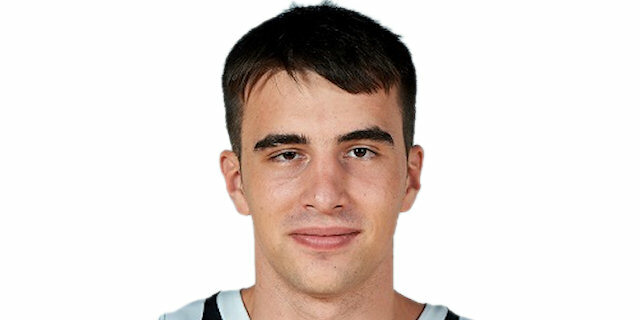 Led the 2018 European U-18 Championship in scoring (24.7 ppg. ).